Unlabelled BLOG : WIZKID – Am back to nigeria, good music continues. 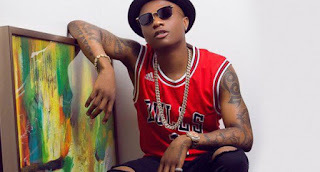 BLOG : WIZKID – Am back to nigeria, good music continues. Wizzy the star boy messiah, has studios hot hot, records back to back non stop good hits. this year ending would be filled with sensations as Wizkid go hard by dropping notable songs, wach out. The most interesting part of the push for international recognition is how Nigerian musicians (Wizkid and Davido) have two timelines to work with.